Neyra Force is a water-based, petroleum resin sealer that outperforms traditional pavement sealers. 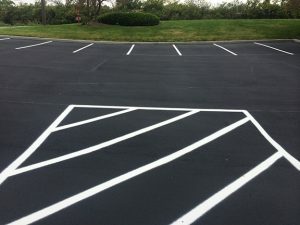 While providing the benefits of coal tar sealer, it is also environmentally friendly and safe for your employees to apply. Neyra Force is a high performance alternative to both coal tar and asphalt emulsion sealers providing exceptional coverage, durability and color stability. A high performance alternative to both coal tar and asphalt emulsion sealers providing exceptional coverage, durability and color stability.